Dr. Sarah Trampota is Fellowship trained in Pain Medicine and Board Certified by the American Board of Anesthesiology with Subspecialty Certification in Pain Medicine. Dr. Trampota was born and raised in San Antonio. She graduated from Texas A&M University with a Bacholor of Arts in Biology with Honors and earned her medical degree from the University of Texas Health Science Center at San Antonio. She then completed her residency in anesthesiology and post-doctorate fellowship in Pain Medicine at the University of Texas Health Science Center in San Antonio. Dr. Trampota is an interventional pain physician proud to be practicing medicine in her hometown. She believes in a multi-modal approach to the management of chronic pain. Through this approach, Dr. Trampota strives to improve patients’ lives and empower her patients to “live and truly live every day”. Dr. Trampota is an active member of the American Society of Anesthesiology, Texas Medical Association and Bexar County Medical Society. In her free time, Dr. Trampota enjoys spending time with her family and friends. She likes to run, play sports, and is an avid traveler. 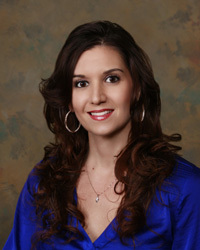 Dr. Trampota is also fluent in Spanish and enjoys caring for patient in south San Antonio, Texas.